Aspendos is probably the best-known ancient site situated near Antalya. Most tourists visit it to see one of the best-preserved Roman theatres in the whole world. Today many concerts and other cultural events take place in the venue. It is not a great challenge to get to Aspendos as there are numerous travel agencies that organize short trips for eager travellers. Unfortunately, in most of the cases, the only building you can see during such a trip is the famous theatre. 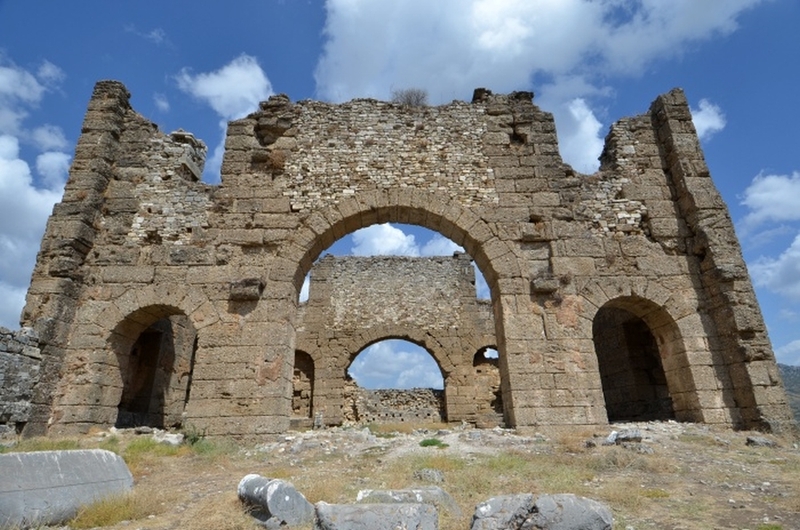 However, Aspendos has much more to offer to curious archaeology buffs. Above the theatre, on the city Acropolis, there various public buildings, including a stadium, a basilica and an agora. Moreover, not far from here a well-preserved stretch of Roman aqueduct provides an interesting insight into the Roman water distribution system in the area. Side is a town of two faces: the first one is that of a popular holiday resort, with numerous hotels, restaurants and souvenir shops. Luckily, the second face of Side is much more fascinating for travellers interested in ancient history. A walk through the centre of the town is enough to fall in love with this place. It is actually a whole ancient city and the ruins of Roman houses, a theatre, a hospital and a long stretch of a road you can walk on, provide an unforgettable experience. The local archaeological museum, with a relatively small, but very well-presented collection of artefacts, is located in a renovated baths from Roman period. The temple of Apollo, rising to the sky on the coast, make a great place to snap some romantic photos and from the upper rows of the theatre a splendid vista extends over many kilometres. The exploration of Side ruins can take many hours of your time, but we promise that you will not regret any of the moments spent there. 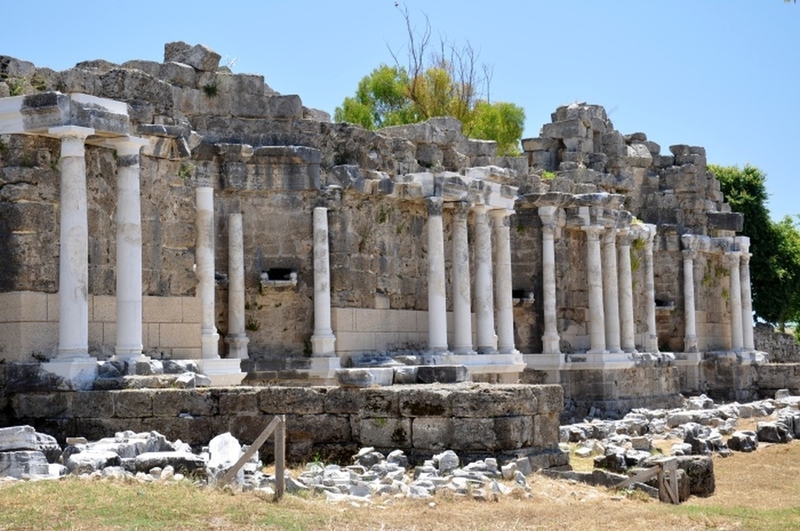 Perge ruins are situated on the outskirts of Antalya, the capital city of Turkish Riviera. In the chronicles of ancient history Perge was remembered as the place of birth of Apollonius - a Greek geometer and astronomer noted for his writings on conic sections. Whenever you hear the words parabola, ellipse or hyperbola, you should recall this great scientist as he was the first one to use these phrases. The vast area of ancient Perge encourages careful exploration and with every step you can discover yet another historical building. There are Roman baths, two nymphaea, an agora and impressive city walls with magnificent gates. You need at least three hours to see the most important structures. 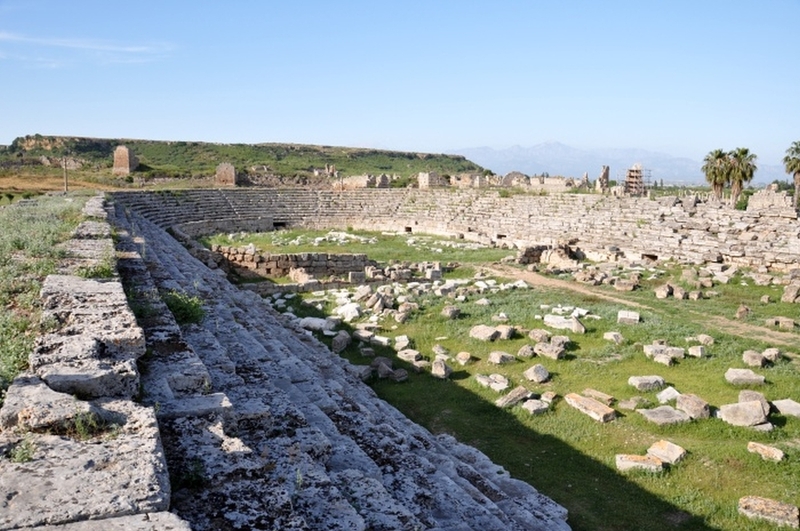 The best-preserved buildings in Perge - a theatre and a stadium - are standing next to the road leading to Perge, and you do not even need to buy a ticket to see them! 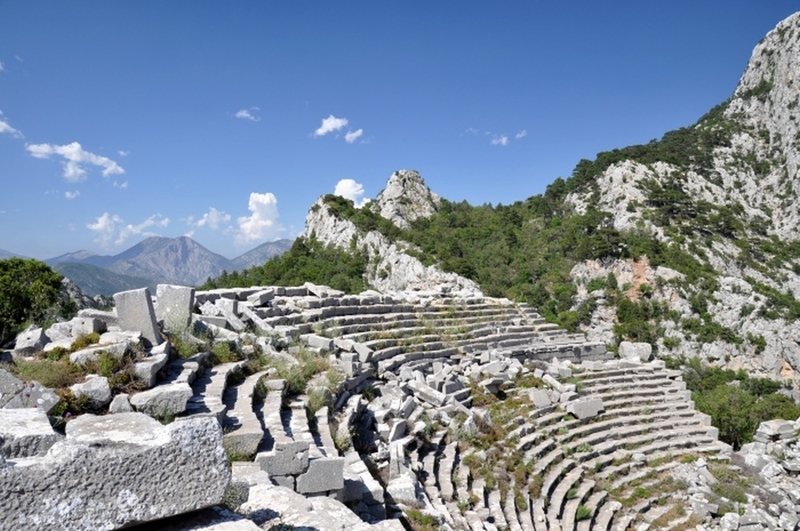 Visiting Termessos is for many tourists the greatest and most memorable experience of their Turkish holidays. Termessos is quite different from the other sites mentioned here: first of all it is situated deep in Taurus mountains, on the altitude of 1000 meters. Secondly, this 'Eagle's Nest' as Alexander the Great called Termessos, is a part of a national park and the ancient ruins are scattered among a splendid pine forest where many rare plant species can be spotted. Thirdly, this place has been surrounded by an aura of mystery since times unknown. It has never been conquered and although systematic archaeological studies of Termessos started in the end of the 19th century, many buildings remain unidentified, their functions unknown. Explore Termessos carefully - the site is difficult to get to and challenging for visitors as there are many unprotected paths and thick plant cover does not facilitate the task at hand. The capital of the province, Antalya, is, surprisingly, relatively unknown for most of the holidaymakers who arrive to Turkish Riviera. The city is treated as a short stopover where you change the means of transport from a plane to a coach or a car. This is definitely not fair for the city which was once called 'the most beautiful place on earth' by the first president of Turkey. If you decide to slow down and give Antalya its well-deserved chance, you will not regret it! 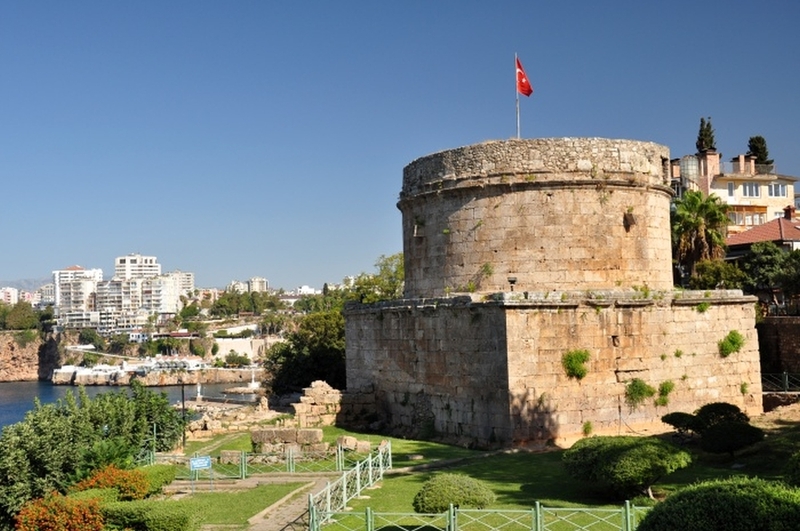 Head straight to Kaleiçi, the oldest quarter of the city, surrounded by massive city walls. After a drink in one of numerous cafés or bars, start the exploration from the Hadrian's Gate, to seek out other ancient structures, such as Hıdırlık Tower or the ruins known as a Broken Minaret. This building, in the heart of Kaleiçi, started its existence as a Roman temple, then, after serious modifications served as a church, and later as a mosque. This is not the end of Antalya's ancient surprises - if you decide to explore it!